Stainless Steel Can Be Fun! 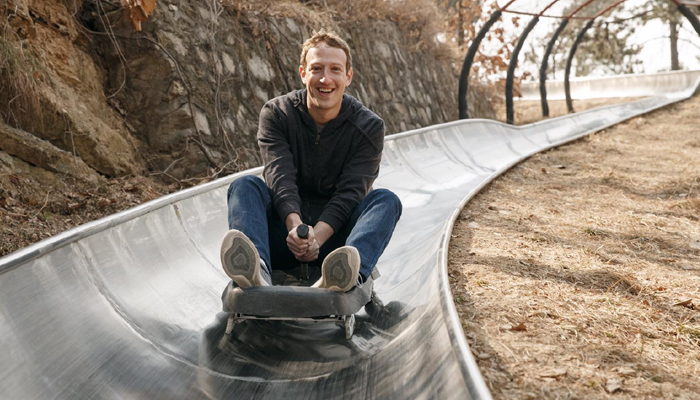 You can’t have missed the recent picture of Mark Zuckerberg, the creator of Facebook, having the time of his life on an exciting toboggan ride on his recent visit to China. With our constant focus on stainless steel, our eyes were immediately drawn to the toboggan track, clearly manufactured from the metal! It’s yet another example of just how versatile stainless steel is and in how many ways it enhances both our working and personal lives. The word toboggan is used inter­chan­ge­ably with sled or sledge and the devices have been used for many centuries as a means to get around. Using them for pleasure must have occurred earlier but the first ever recorded toboggan races happened in Norway in the 1400s. From these races developed the two related sports of luge and bobsled, both in St. Moritz in Switzerland, during the 19th century and the stainless steel construction Mark Zuckerberg was seen riding on is technically a luge track. There are lots of benefits to a steel as opposed to ice track, most notably that they can be located anywhere in the world regardless of the heat. There is a consistent smoothness that ensures the rider always has a fun, fast and safe experience and, though it is a subjective opinion, stainless steel tracks appear to have a much more attrac(k! )­tive aesthetic. The fastest speed a luge rider has ever achieved is 154 kph, which is almost 96 mph - the feat was achieved by Manuel Pfister in 2010 at the Winter Olympics in Vancouver, Canada. Riders on the Mutianyu toboggan track don’t get anywhere near this but you can tell from Mark’s face how exhilarating the ride is. The track was built by Wiegand in 1998, who have been building such structures (along with log flumes, roller coasters and their own patented BobKart) since 1975. A chairlift carries riders the 1155m to the top - and that’s when the fun part really starts! With little maintenance other than routine safety checks, Mutianyu has been functioning correctly for almost 20 years and shows no signs of breaking down any time soon. Stainless steel is a metal that is designed to last - and last and last and last. This durability makes the metal one of the most highly prized and there are consequently many suppliers offering their products - to get all the qualities from stainless steel you have to be certain it is sourced from the most reputable supplier. That’s where BS Stainless, your partner for stainless steel, steps in. How can stainless steel make YOUR project happen? Call us today to find out.